In 2008, the fakir celebrates his 50th anniversary in the Efteling and a tulip is named after the park. The Efteling Tulip has been planted throughout the park. This spring, the Efteling Hotel will receive its millionth visitor and Bart de Boer is appointed as the new Chairman of the Board. On 21 July, the Efteling launches its own radio station: Efteling Radio. In September the first recordings for a new television series of My Dad the Magician commence, and the first bricks of Efteling Village are ready for laying. The Sound of Music has its opening night in the Efteling Theatre and the cast of the Fairytale Tree sets off on its first theatre tour this autumn. In December, the Efteling is planning its 10th edition of the Winter Efteling. The spectacular but mysterious new attraction, the pirate ship De Vliegende Hollander is opened this year. The Efteling celebrates its 55th anniversary and a new park show called ‘My dad the Magician – It’s Tika’s Birthday’ is staged in the Efteling Theatre. The Day of the Fairy Tale is celebrated on 7-7-07 and the Efteling Museum presents a wonderful overview of all of the entertainment from over the years. During the summer months there is the Efteling Seven League Summer with lots of extra entertainment, lovely summer evenings and extended opening hours. 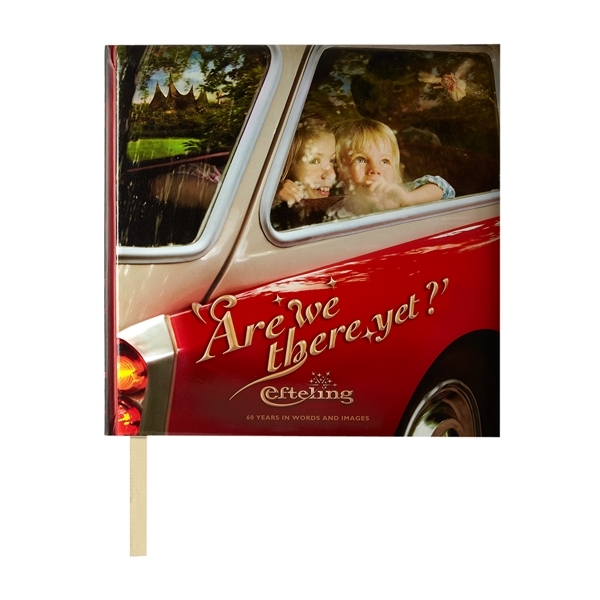 The Efteling Hotel celebrates its 15th anniversary this year. The new exhibition in the Efteling Museum entitled ‘25 years of fast rides in the park’, is very popular among visitors. The magic donkey, Ezeltje Strekje, celebrates his fiftieth birthday and an animation series called ‘The Fairytale Tree’ is broadcast on Dutch and Belgian television. The Efteling Hotel opens its 19th theme suite: The Flying Dutchman Suite, and the musical My Dad the Magician is followed by the highly successful musical Annie in the Efteling Theatre. The 200th anniversary of the birth of Hans Christian Andersen is being celebrated all over the world this year. The Danish storywriter takes centre stage at the Efteling and an exhibition is put on for the Efteling fairytales that were written by Hans Christian Andersen. The Efteling Hotel opens a suite that is dedicated to the famous Dane and organises another Efteling Anton Pieck Prize competition. Moreover, the Efteling Fairytale Show is now on show in the Efteling Theatre every single day! 24-06-2005: Hans Christian Andersen suite geopend. The Goose Fanfare and a mythical unicorn attractions are added to the park and the new Efteling Museum is opened this year. Magician, Christian Farla, is on stage in the Wonderful Efteling Show in the Efteling Theatre and 'The Fairytale Party' is put on stage in the Fairytale Forest Theatre. During the Efteling Seven League Summer, the programme includes seven more special Summer Evenings and the Efteling Dream Days are introduced. The Efteling Hotel gets two new theme suites and people can now get married at the Efteling! The new Efteling internet site is launched and to finish the year off nicely, a new musical comes to the Efteling Theatre for the evening performances. During the Winter Efteling of 2004, visitors can admire the 25th fairy tale to be told in Fairytale Forest: The little match girl. The new attraction has now been opened. 27-11-2004: Efteling store on the internet. The efteling has opened an on line store on their website. A new game has been added to the Game Gallery by the name of "De Oliphant in de porseleinkast" (The Elephant in the China Cabinet) in this game you will get five balls for €2,50 which you then aim at spinning dishes. if you knock them off you win a nice toy. The Efteling has made additions to its hotel in order to better accomedate children. They have created steps to the check in desk. They have also added a step up in the bathrooms. 22-06-2004: Last Minutes Efteling Hotel available through the website. The Efteling is now offering a discount for last minute bookings. Efteling has won the Nationale ICT award 2004 of Logic CMG in the category Great company for the project 'Mobile Ticketing at the Winter Efteling'. Sleeping Beauty the musical performed for the last time today. Start of the Spring Efteling! The Efteling season reflects the four seasons this year, which includes the summery sand sculpture festival Bewitched Beaches. The renovated Anton Pieck square is opened as well as the foyer and theatre restaurant of the Efteling Theatre. A new Wonderful Efteling Show is being staged with magician Christian Farla and the show wins a third Big E Award. The winter is dedicated to the fifth anniversary of the Winter Efteling and finally for this year, the Efteling introduces something new: an evening production for all the family: Sleeping Beauty the Musical. The Efteling celebrates its 50th anniversary with the PandaDroom attraction, which was brought about in collaboration with the World Wildlife Fund, and the Efteling Theatre’s Wonderful Efteling Show, which had world-famous magician Hans Klok on centre stage. Other special anniversary activities include a jubilee exhibition; a documentary; and the book ´Efteling, Chronicle of a Fairytale´, which tells the story of the 50-year history of the park. In addition, PTT Post issues a series of commemorative stamps and the park organises another Efteling Anton Pieck Prize competition. The stars are shining at the Efteling like never before and entertainment takes centre stage. Well-known stars from the award-winning Fairytale Show perform in the Efteling Theatre ‘s daily shows and there are new international stars for the spectacular 'Efteling on Ice' show, which is to be held three to four times a day throughout the season. The Efteling receives a second Big E-award for this production. In the course of the year, the ravishingly beautiful Rapunzel has come to Fairytale Forest and the third edition of the Winter Efteling attracts 270,000 visitors. The year’s theme is ‘The Efteling brings back your Happiest Moments’; the Pardoes Promenade and Efteling Village Green are opened; and the Kinderspoor children’s pedal trains are all fully restored. Efteling’s host Pardoes is joined by Princess Pardijntje to welcome visitors as they come into the park and the second Winter Efteling outdoes the success of last year: 263,000 people visit the Winter Efteling.